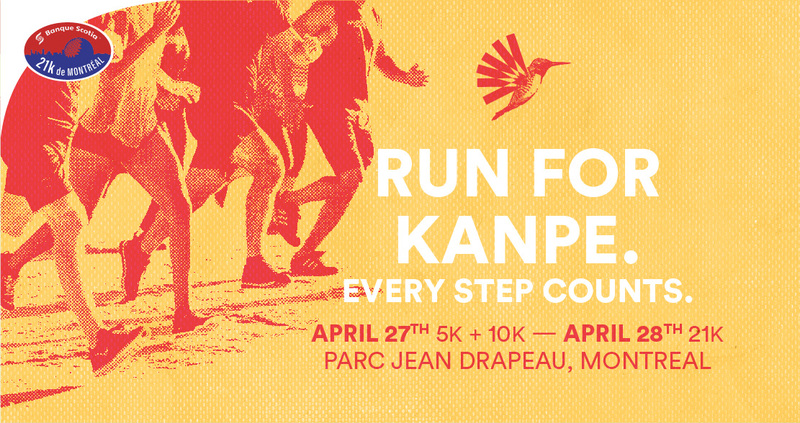 For the first year, The KANPE Foundation is participating in the Scotiabank Charity Challenge, which will take place April 27-28 at Parc Jean Drapeau in Montreal. Do you already run during the lunch hour? Do you wait until the snow melts to put on your running shoes? Are more sports part of your year’s resolutions? Whatever the reason, at KANPE we believe that every little step has the power to cause great things. With friends or family, no matter the distance, dedicate your race to Haiti by raising funds to support our mission. 1- Go to the race website. 2- Click on one of the buttons on the right to register or make a donation. 3- Choose your race. Attention, only the 21K will take place on Sunday, April 28th. 4- On page 4, select The KANPE Foundation as the beneficiary organization for the Charity Challenge. 5- On page 4, enter your promotion NIP code to benefit from a favourable rate. 6- After the registration, create your own team or join KANPE’s team. 7- Invite family members, friends, colleagues, neighbours to encourage you and support your fundraising. Read all these steps in the Charity Challenge registration guide. or (514) 526-7399. We will be happy to help you from the registration process to the finish line. Thank you for standing with KANPE!